As is the case with the Internet—and life—one thing leads to another. It all began with a handbag: the Lee Radizwill Sachel by Tory Burch to be exact. 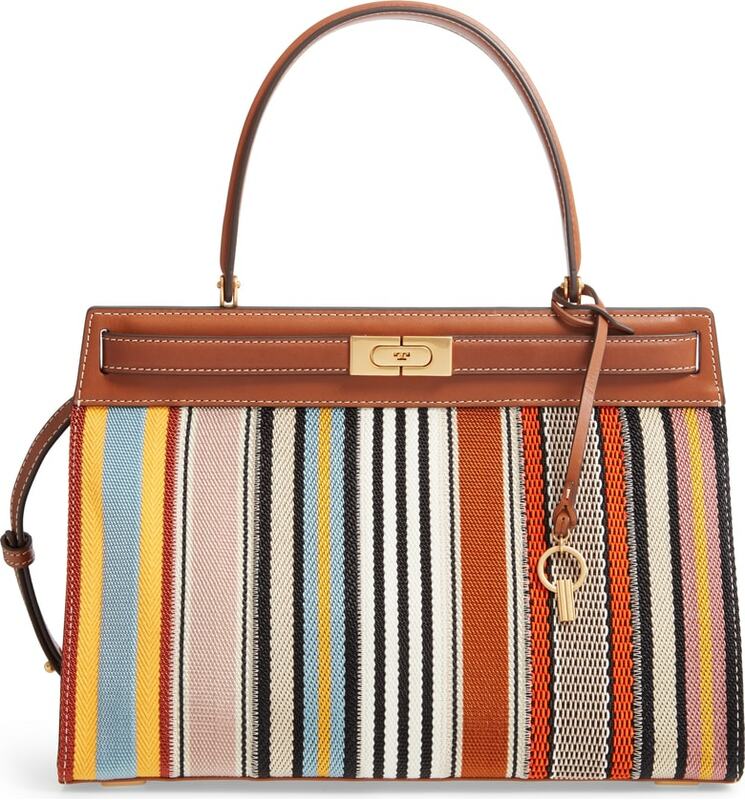 Tory Burch’s Lee Bag, an homage to style icon Lee Bouvier Radziwill, was launched last year and has been on my radar since I first saw it on Purseblog. I was reminded of it recently when a blog I follow, 9 to 5 Chic, featured a beautiful Spring fashion collab with the brand and it was hard to miss in sunny yellow. The structured handbag has a certain classic Kelly-esque style that I adore. 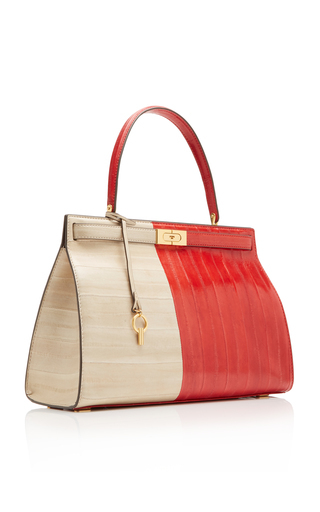 The Hermes Kelly is on my permanent bucket list/wishlist, but in the meantime, this is a very affordable option. 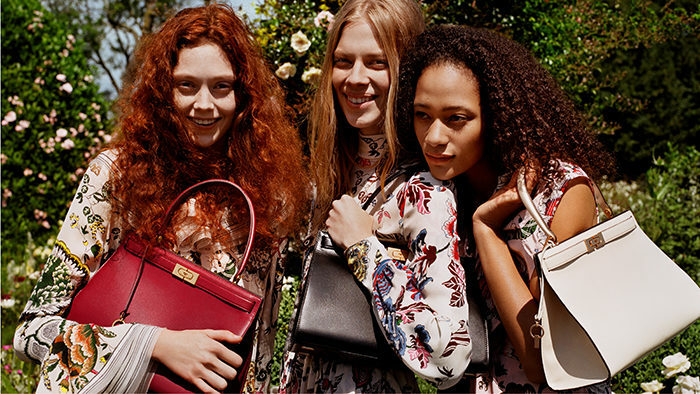 It’s notable and commendable that the new Spring ’19 bags have a shoulder strap. I particularly like this colour-blocked eel skin version, sadly no longer available. There was also a multi-coloured eel skin that similarly cannot be purchased anymore. Sigh. and a seemingly very popular (read sold out ) croc-embossed version in black, red, green, and blue. Here she is, in a fabulous fabulous dress by Dior with a matching coat. Now that’s dressing! I would wear that today. I wish it was in my closet. Dress /coat by (Marc Bohan) Christian Dior, Photo: Mark Shaw; Shot at her home in London, 1960. From the handbag rabbit hole, I delved further into the Tory Burch line, having never done so before. 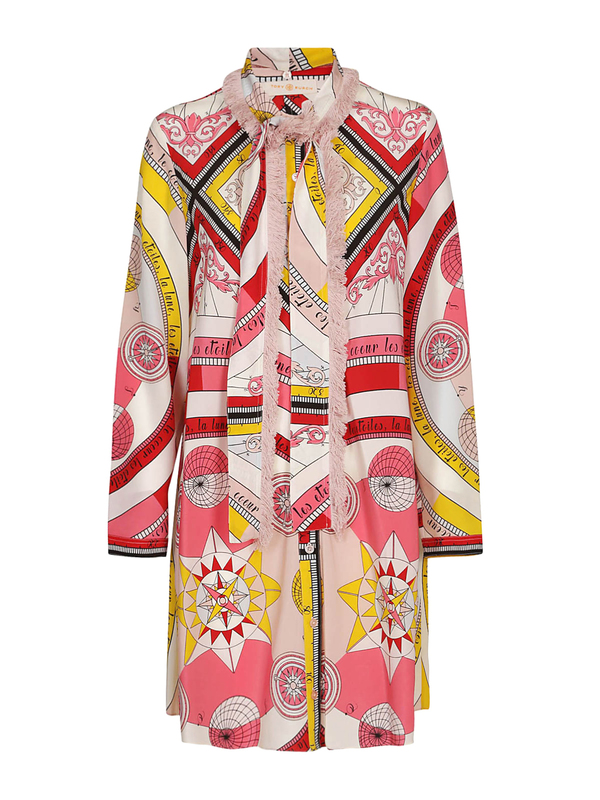 There were many things I really like: a Ponte Dress, a jacquard shirtdress, and a marvellous silk Pink Constellation Shirtdress that reminds me of a Hermes scarf. 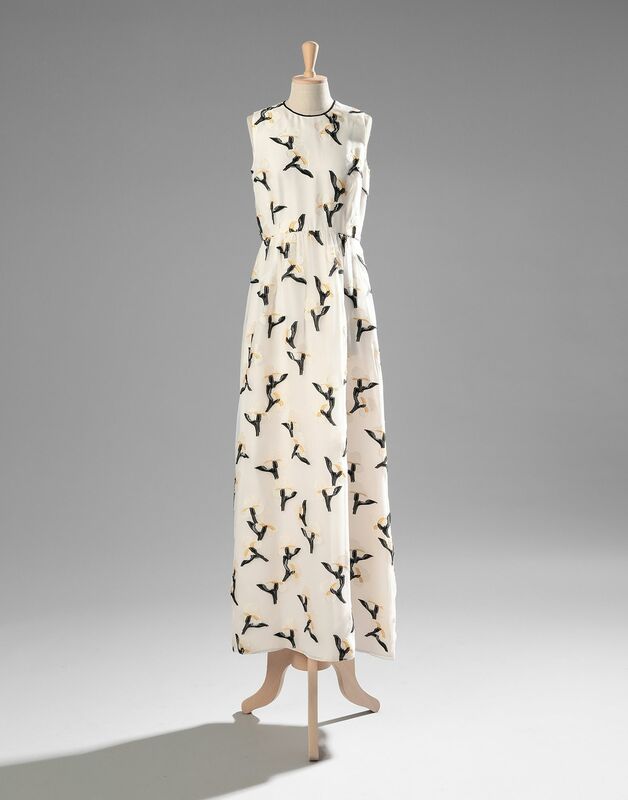 But what then came up in a search and caught my eye was a vintage Tory Burch gown. Iris would be annoyed by the lack of sleeves, but I think she would be won over by its beautiful intricate floral pattern. Moreover, a little black jacket would be an elegant problem-solver. But an more interesting discovery than the dress itself was its provenance. 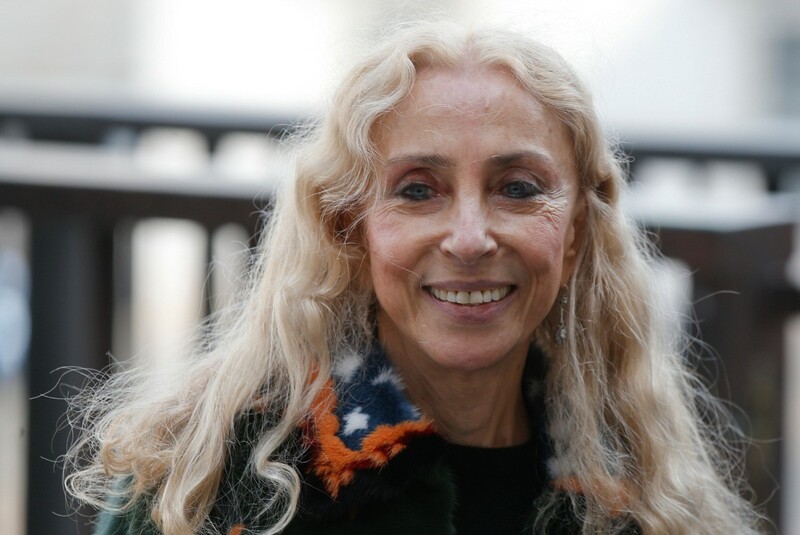 It belonged to Franca Sozzani, the late editor-in-chief of Vogue Italia—a position she held for 28 years (1988-2016) until her death at age 66. It’s one of the pieces of her personal collection currently for sale on YOOX. 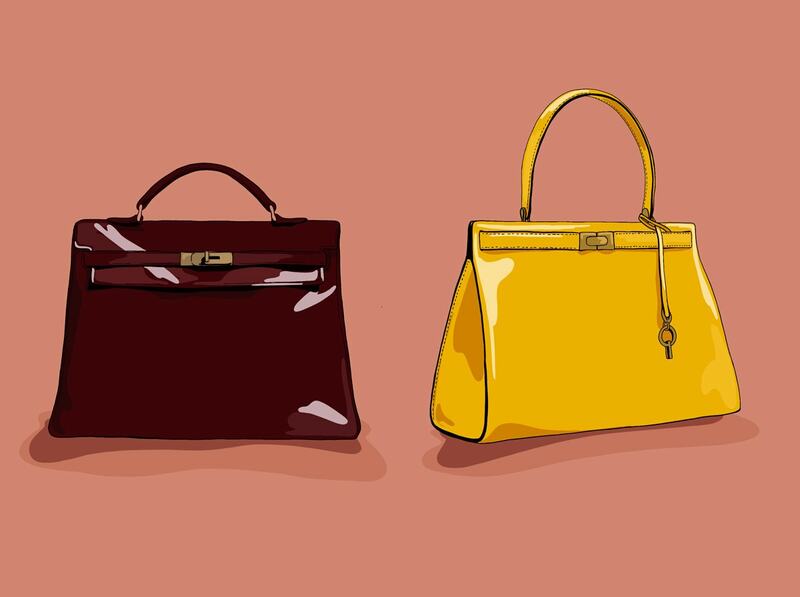 Since dropping in February, 397 ready-to-wear and haute couture pieces and 190 accessories from the famous editor’s closet went up for sale. 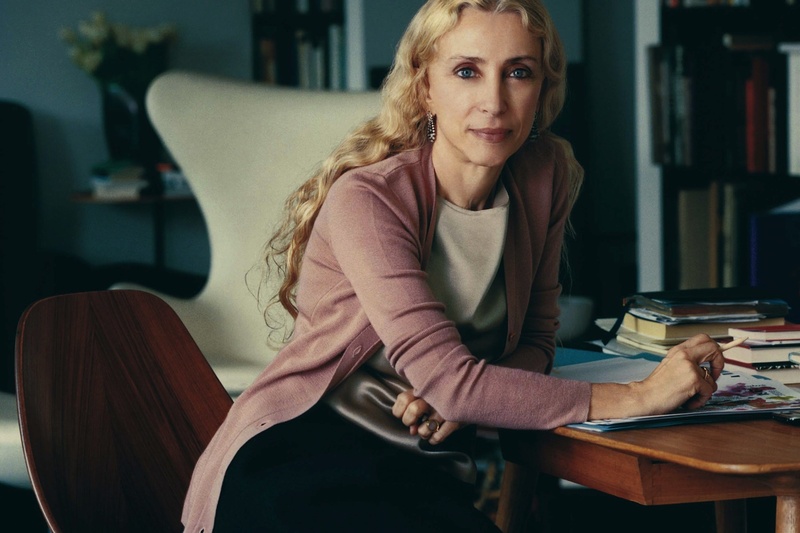 Proceeds are donated to the Franca Sozzani Chair in Preventive Genomics at Harvard Medical School, developed by her son, the photographer and filmmaker Francesco Carrozzini. 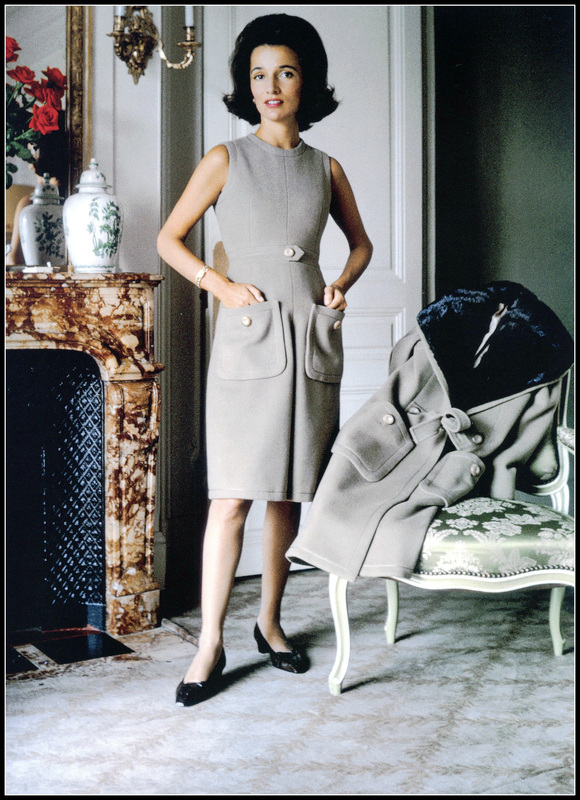 Both Franca Sozzani and Lee Radziwill were famed as much for their daring spirit as they were for their style. How wonderful that through a wardrobe and a handbag, these endure. I just finished reading the book “The Fabulous Bouvier Sisters”. The Bouvier’s certainly lived at a time when women “dressed”. Love the photo of Lee in the Christian Dior dress with the matching coat. I too would wear that dress and the coat today and would never part with it. 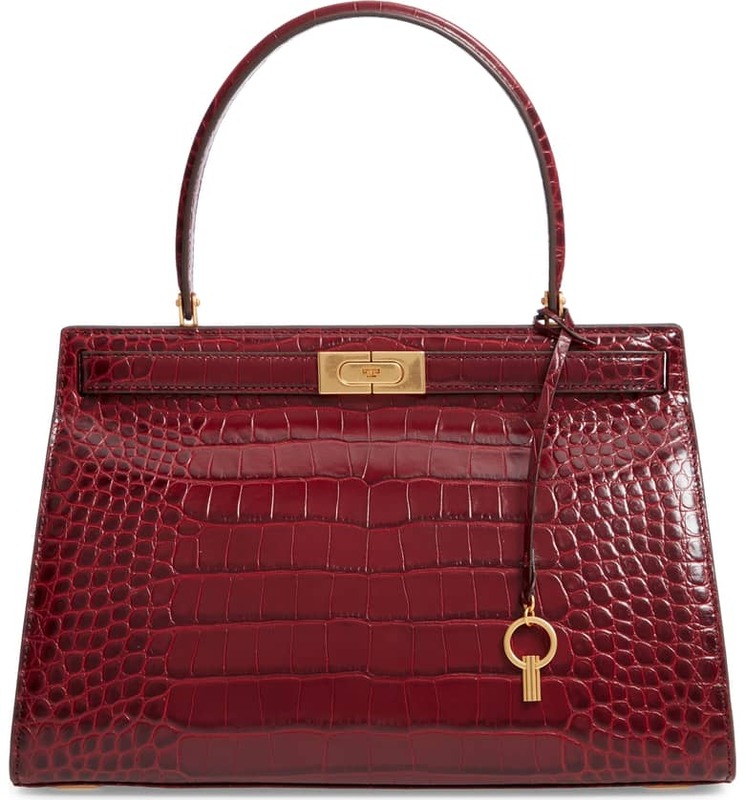 I love the Tory Burch take on the Radziwill handbag. I will check them out! I love Tory Burch’s bright prints and colors – and the bags you highlighted are just gorgeous! I have one Tory Burch handbag, but sadly, I took it on vacation a few years ago and the sun faded the color, so I’m trying to figure out how to revive it.